Forever 21 just finished up their 50% off clearance event. I usually order some things whenever they do those sales. It is always final sale with no returns so sometimes I strike out and order things that don't work but, this time every thing I ordered fit like a glove. I was really excited when I tried it all on. Sometimes it is worth the risk when I am saving so much. Below are some pictures but I will give you a run down of what I purchased. If you would like the links just let me know. I can still find them through my cart. 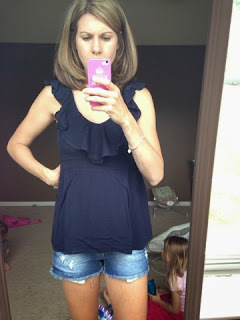 I bought 2 ruffled tops, in 2 different colors. These fit really nice and are thin but, not thin enough where I have to wear something under them. 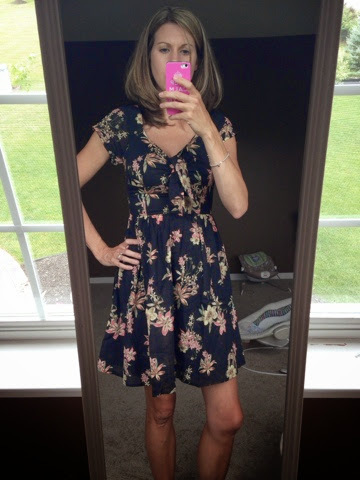 I also bought a retro flower dress. I love love this. The fit is so cute. It is fitted up top but, then has this nice flow to the bottom half. The length is great too which isn't always the case with Forever 21 dresses. The next picture is of a tribal print romper. 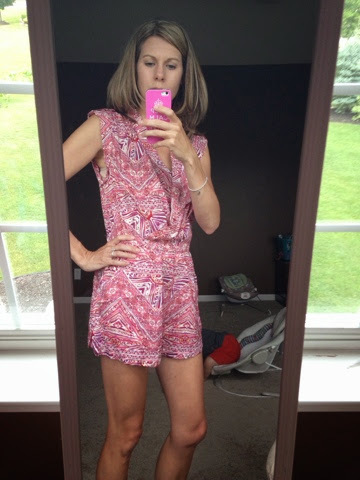 You guys, can you believe this is my first romper! It is really cute, although I am not really sure how to wear it and to what. I have read that it can be dressed up with heals, which isn't really my style or I can wear it with flats and make it more casual. I am going to try it with sandals and maybe earrings. 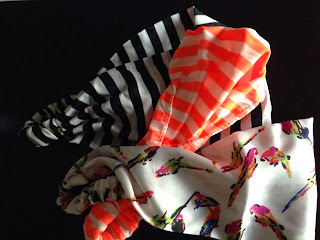 I bought a few accessories too which are a favorite of mine from F21. A few head wraps and not pictured are a cosmetic bag that says Wild Child on it that I am going to use as a mini first aid case in the diaper bag and a pair of sunglasses. The last picture is of a couple bathing suits. 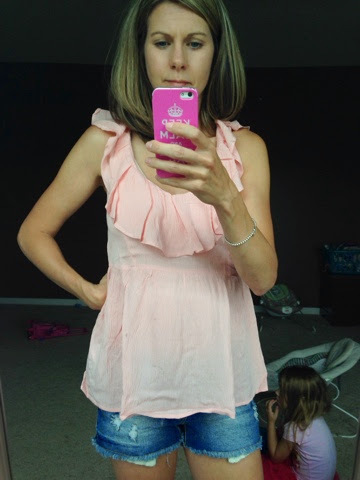 I really love the coral top and plan on wearing that with black bottoms. I really like the print of the pink leopard one but, the bottoms are odd fitting. I don't usually like string bikini's but, this one is just odd. It says it is a cheeky fit and it is a really cheeky fit. It has very little material in the front too so it doesn't give much coverage and goes up really high. The print is cute though so maybe it is a just a laying out suit. All in all it was a great order. Now are you ready to hear the savings part? If I would have bought everything at full price it would have been around $151. I ended up paying $54. Really it was a great deal. Sometimes it pays to gamble on final sale internet shopping. I do buy a lot from F21 though so I pretty much know my sizes which helps. I just signed up for this cool site called Keaton Row too. I am being matched with a stylist to help me shop so I will keep you updated as to how that is going. Again let me know if you want any of the links for the items listed and I can post them. Coral Bandau top and pink leopard suit all size Medium although I probably should have bought a small in the bottom.